Flexible Cast size to suit YOUR group numbers, from 27 actors upwards. See "Casting" tab below. 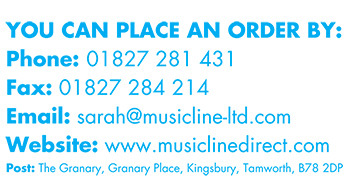 Unlimited chorus parts - as many as you like! Grade 5/6 standard Performance Score (encompasses Overture, ALL Play Ons and Play Offs, Songs, Link Music, Cues and Chord Symbols) and Grade 2/3 standard Rehearsal Score. Check them out on the "Script & Songs" tab below. 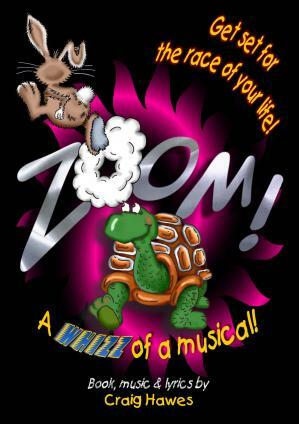 Based upon The Tortoise and the Hare, Zoom is a sparkling musical comedy which retells the famous fable in an unusual and VERY current way. Harvey Hare, fabulously wealthy, golf playing, sexist, misogynistic business tycoon is running for President... well, Mayor actually. Toby Tortoise gets wind of the unscrupulous methods Harvey intends to use to secure his electoral dream. Your parents will LOVE it as will your children (read the reviews)!